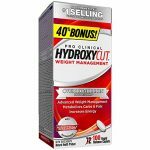 MuscleTech NitroTech Whey Protein Powder, Whey Isolate and Peptides, Chocolate, 4 Pound — Deals from SaveaLoonie! NITRO-TECH contains 30 grams of protein, primarily from whey protein isolate, ultra-filtered whey protein concentrate and hydrolyzed whey protein isolate, with only 2 grams of carbs and 1.5 grams of fat! NITRO-TECH contains a research-proven dose (5 grams) of creatine monohydrate. In one scientific study, subjects taking the key compound found in NITRO-TECH gained more strength and improved their overall performance during bouts of high-intensity training versus the placebo group. 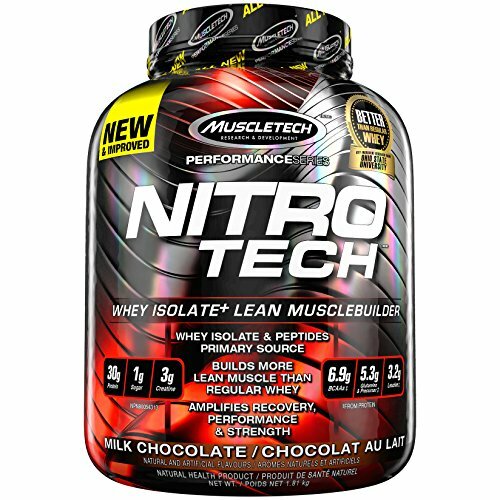 In addition to its key musclebuilding ingredient, NITRO-TECH also contains BCAAs (leucine, isoleucine and valine) and is designed to deliver essential amino acids and proteinogenic (protein building) amino acids that are quickly digested and absorbed by your bloodstream aiding in muscle cell repair and growth and helping to make NITRO-TECH the perfect choice for rapid post-workout amino acid delivery.